The recently formed ‘United Sikkimese Forum’ (USF) has lashed out on the State government on three common issues of different political parties of Sikkim. The forum has raised issues of the Citizenship (Amendment) Bill, 2016, recent remarks of the Chief Minister on the monthly menstrual cycle of women and on Rojgar Mela and ongoing Janta Mela. The forum has decided to soon present as memorandum to the Governor on and approach all concerned authorities on these three issues. 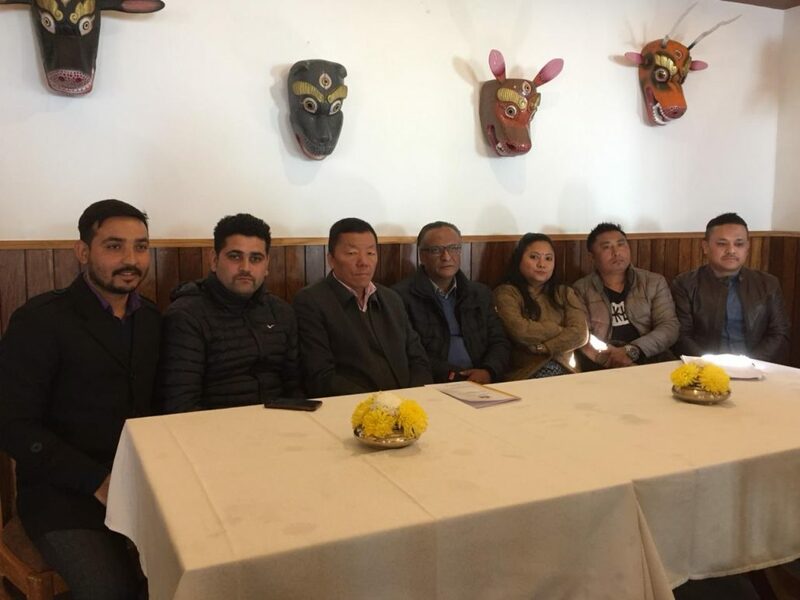 United Sikkimese Forum is the outcome of a meeting of all opposition parties of Sikkim initiated by Sikkim Subject Committee in Gangtok on January 25 last to discuss the possibility of a united front in view of upcoming elections in the State. The meeting was attended by leaders and representatives of all regional parties including Sikkim Krantikari Morcha, Hamro Sikkim Party, Sikkim Rajya Manch, Sikkim National People’s Party, Sikkim Republican Party, Sikkim United Party and Sikkim Sangram Parishad. SRM president and MLA, RN Chamling was nominated as the chief coordinator of the front in the meeting. Addressing a press conference in Gangtok on Monday, USF member, Nawin Kiran Pradhan stated that every party has its own issues and stand but common issues can be fight unitedly in the interest of the people. He added that it is a historic moment that every party has come forward in the common cause in the State. Pradhan mentioned that the Citizenship (Amendment) Bill, 2016 is the threat to the Sikkim Subject. He also criticized the language and remarks of the CM on the menstrual cycle of women. He also alleged that the State government has organized Janta Mela just to lure the people to get their votes.